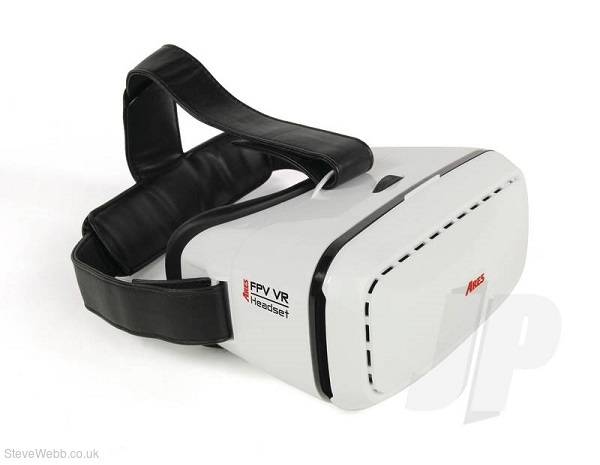 As the owner of an Ares FPV VR Headset youll be able to harness the excitement of First Person View (FPV) flying or driving, experience the virtual reality world and watch 3D movies or videos using a multitude of smartphone apps. Its simple, just start the app, insert your smartphone into the headset, then fully immerse yourself with this amazingly innovative VR viewer. Suits 4.7" to 6.0" smartphones. Adjustable T-strap ensures complete comfort. Suitable for both long- and short-sighted users. IPD (interpupillary distance) adjustable lenses for optimum viewing accuracy. Strong magnetic latch holds the smartphone cover securely shut. 1 x 4.7" to 6.0" smartphone.